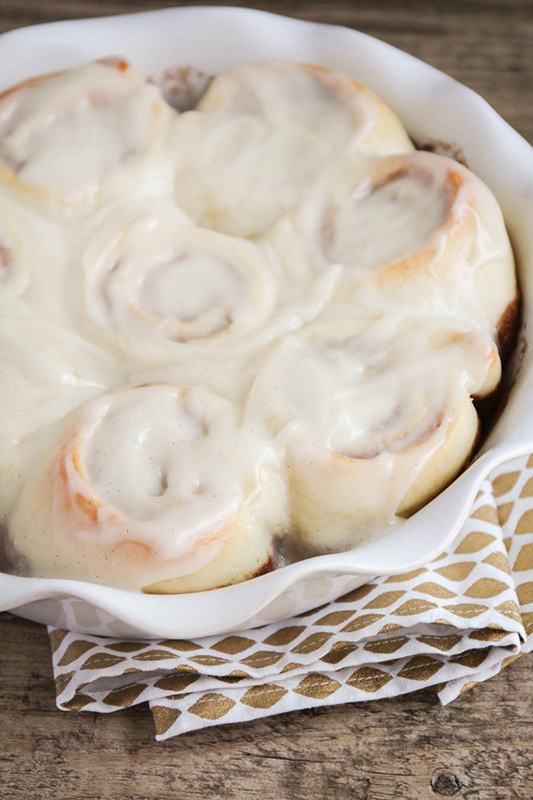 That's right, friends... cinnamon rolls! In one hour! Pretty amazing, right? I'm not going to claim that they are the lightest, airiest cinnamon rolls you've ever had, but they are super delicious. I felt like they were really similar to Ikea cinnamon rolls... super cinnamony, and soft and gooey. Perfect! I really wasn't sure if these rolls would rise as well as they did, but they puffed up beautifully in the oven. 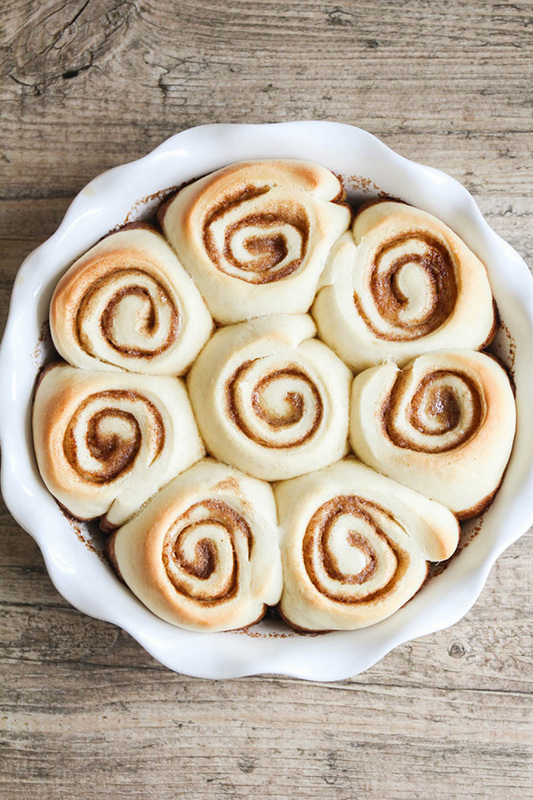 I usually bake my cinnamon rolls in a 9 x 9 or 9 x 13 baking dish, but they are so much more beautiful baked in a pie dish! 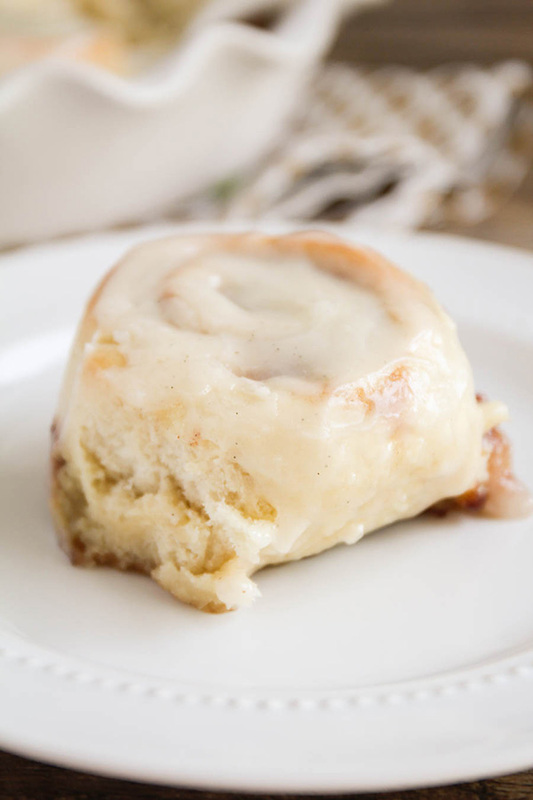 The filling is exceptional in these rolls and I love that it oozes out a little and coats the bottom of the rolls, so each bite is gooey and full of flavor. The star, though, is this vanilla bean cream cheese glaze on top! It is fantastic and so delicious that I couldn't stop sneaking little tastes from the bowl. Yum! 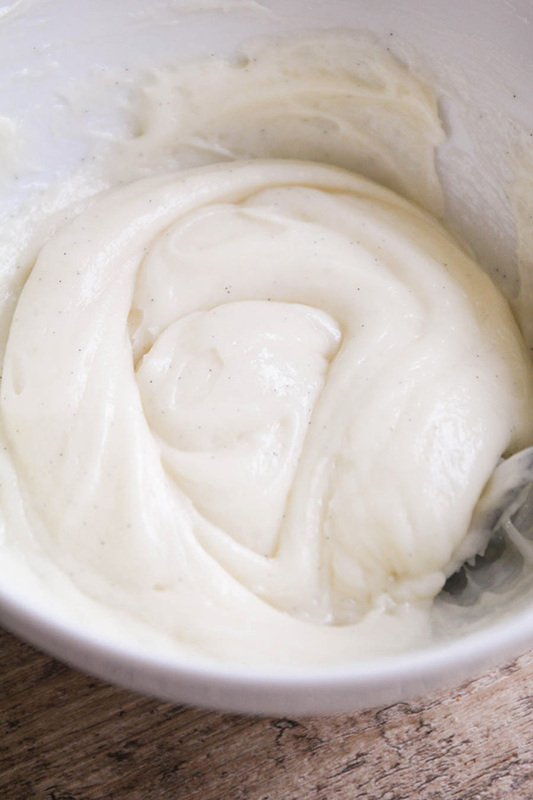 In a large bowl or the bowl of a stand mixer, combine the warm water, yeast, and 1 tablespoon sugar. Let sit 5 minutes, or until foamy and bubbly. While the yeast mixture is resting, combine the butter, milk, salt, and 1/4 cup sugar in a measuring cup. Heat on high for 45 seconds, or until the butter is melted and the milk is warm. Pour the milk mixture into the yeast mixture and stir. Add one cup of flour and stir until combined. Add additional flour, 1/4 cup at a time, to form a soft dough that is only slightly sticky and pulls away from the sides of the bowl. Shape the dough into a ball, place in a greased bowl, and cover with plastic wrap. Let rest for 20 minutes in a warm place. While the dough is resting, mix together the butter, brown sugar, sugar, and cinnamon for the filling. Preheat the oven to 350. After the dough has rested, roll it out into a 10 x 12 rectangle on a lightly floured surface. Spread the filling over the top of the dough, leaving about one inch at the bottom without any filling. Roll up tightly and pinch the edges to seal. 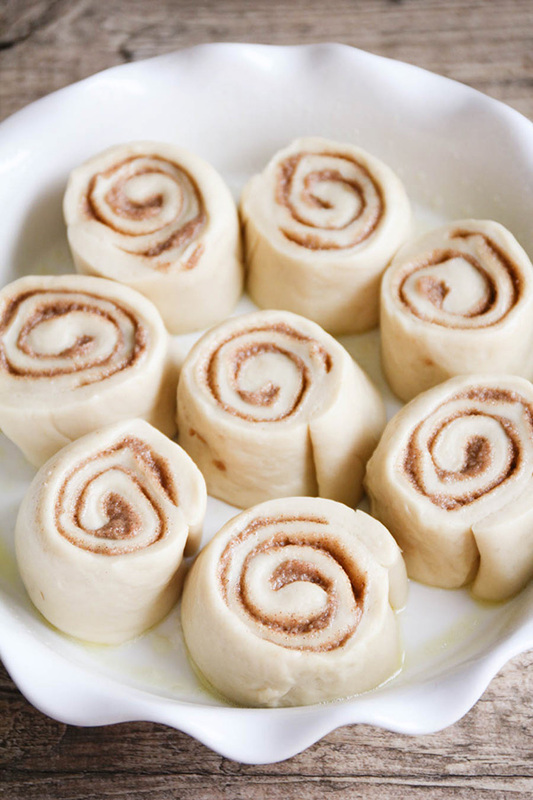 Cut the dough into 8 rolls and place in a lightly greased pie dish. Cover and let rest 10-15 minutes. After the dough has rested, bake 20-22 minutes, or until light golden brown on top. Let cool 5-10 minutes. While the roll are cooling, whisk together the glaze ingredients, adding milk or powdered sugar as needed to adjust the consistency. Spread over the warm rolls and enjoy! Made these this morning, but the middle roll was almost raw. Any idea why it's doing that? Cooked at 350 for almost 40 minutes. 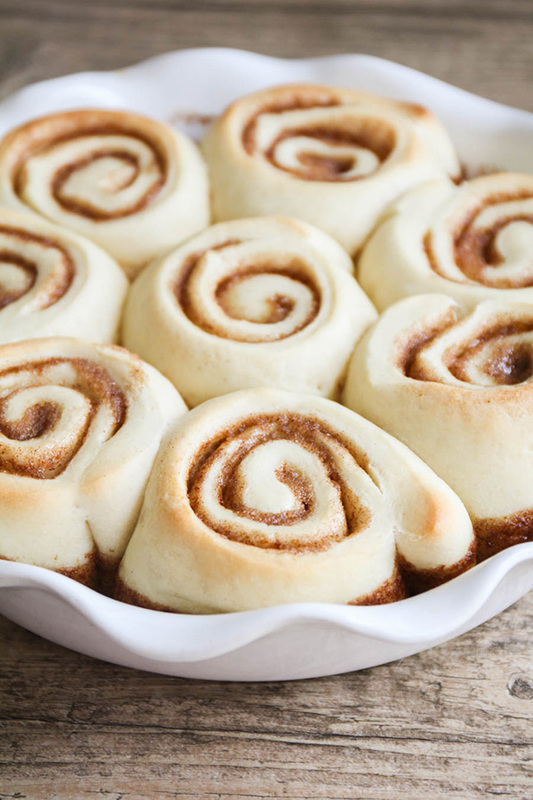 Outside rolls were perfect and tasted delicious. Also, made the dough the night before and let sit out for about 15 minutes this morning before baking. Thanks! !